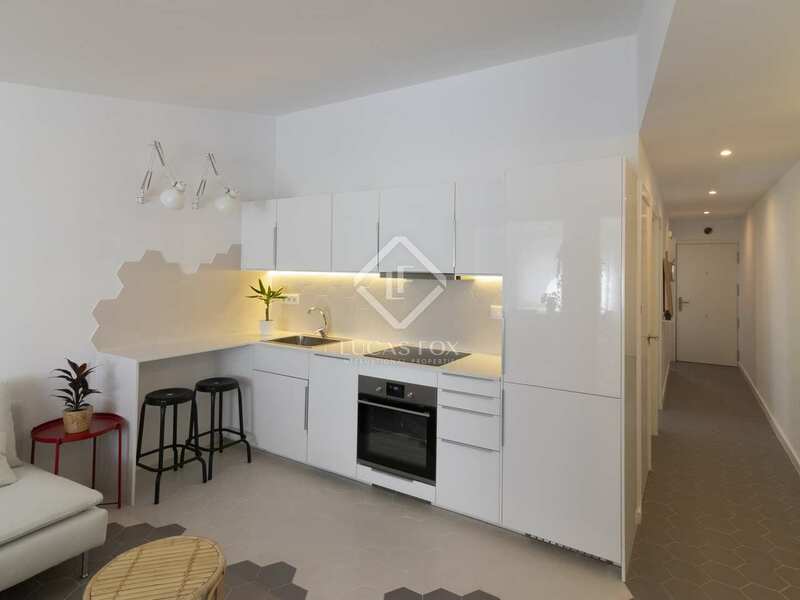 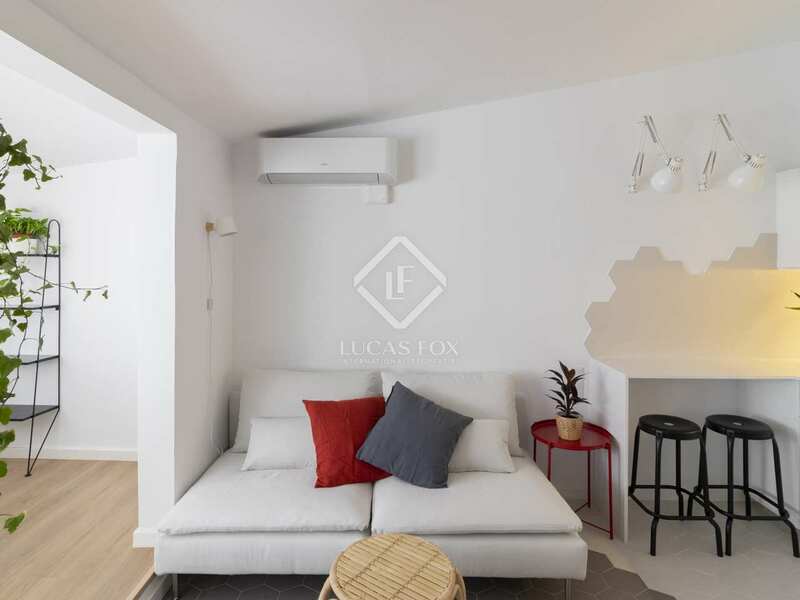 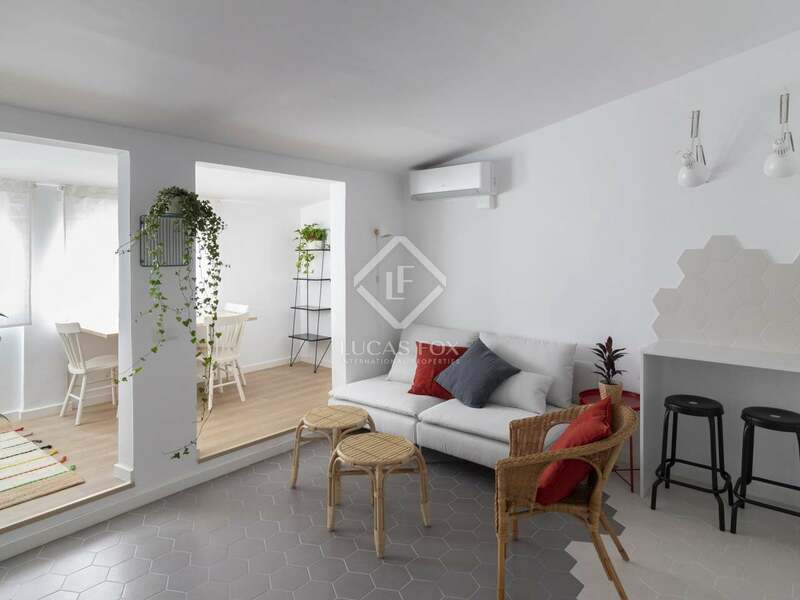 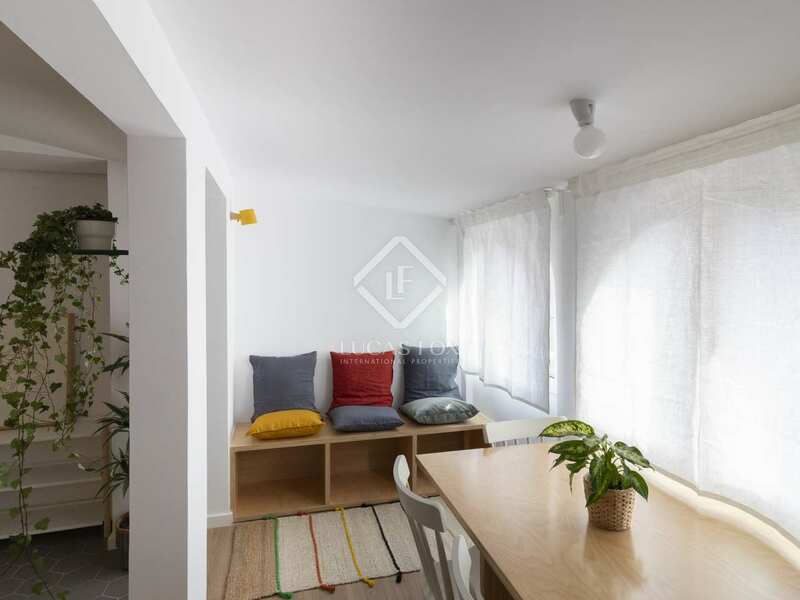 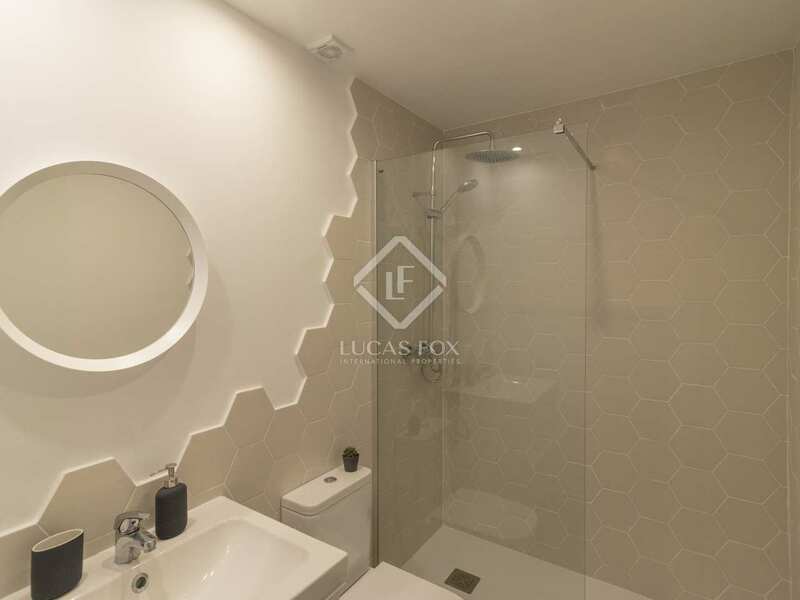 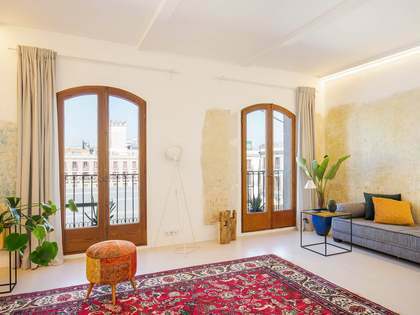 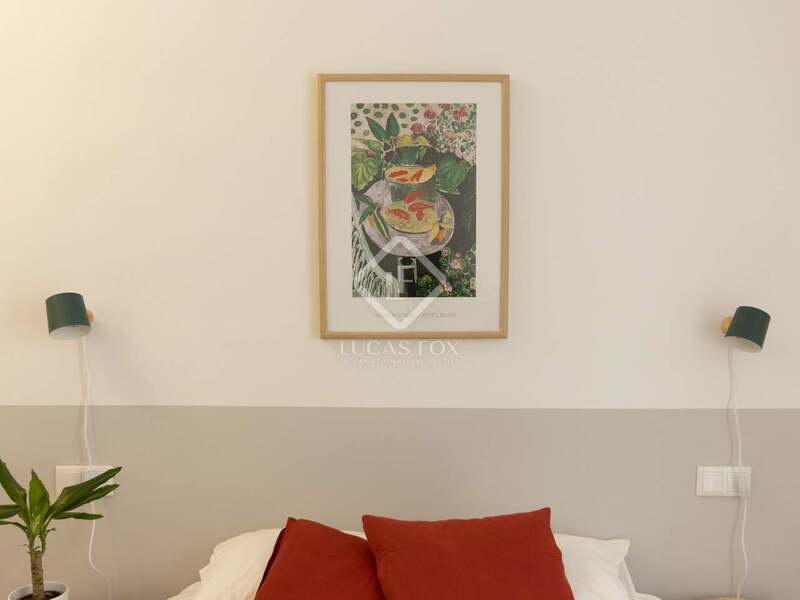 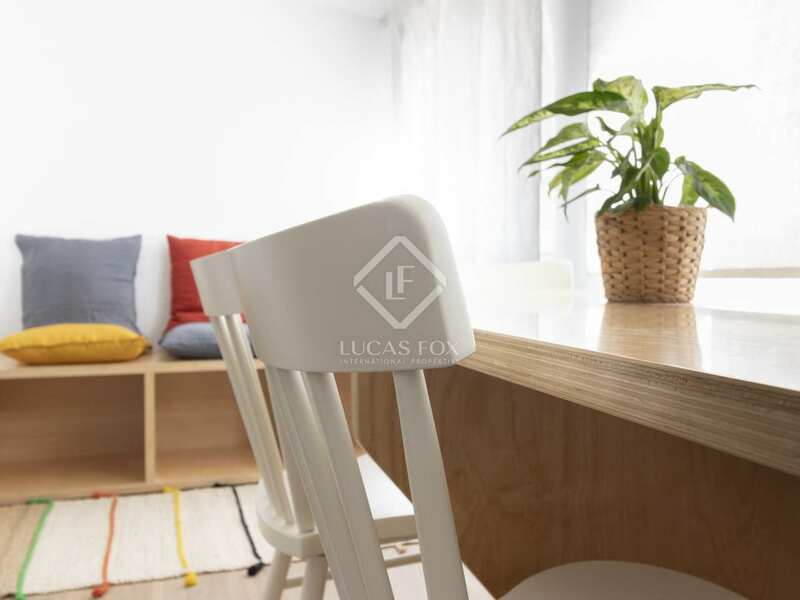 Bright 2-bedroom apartment of 63 m² with brand new installations and designer interiors, located in just behind Parc del Clot. 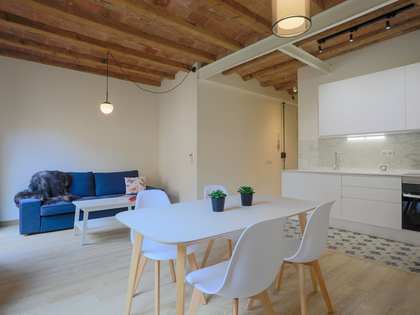 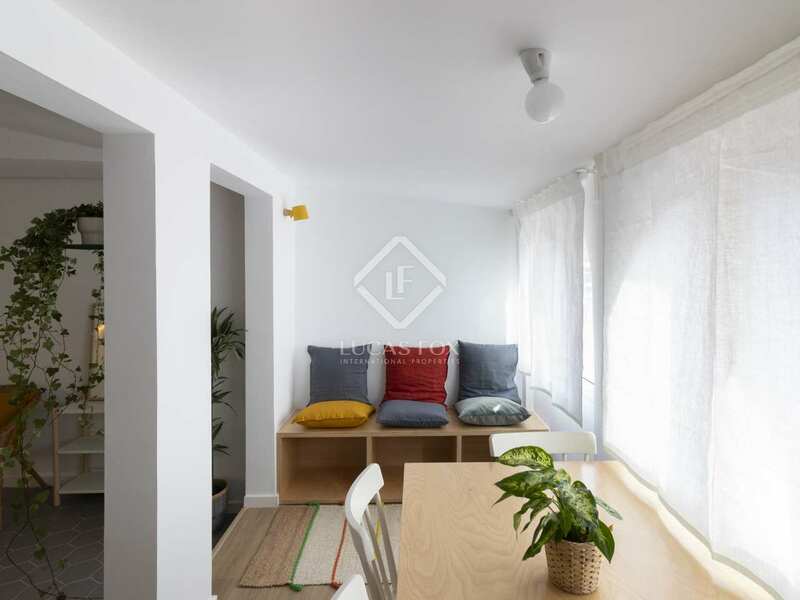 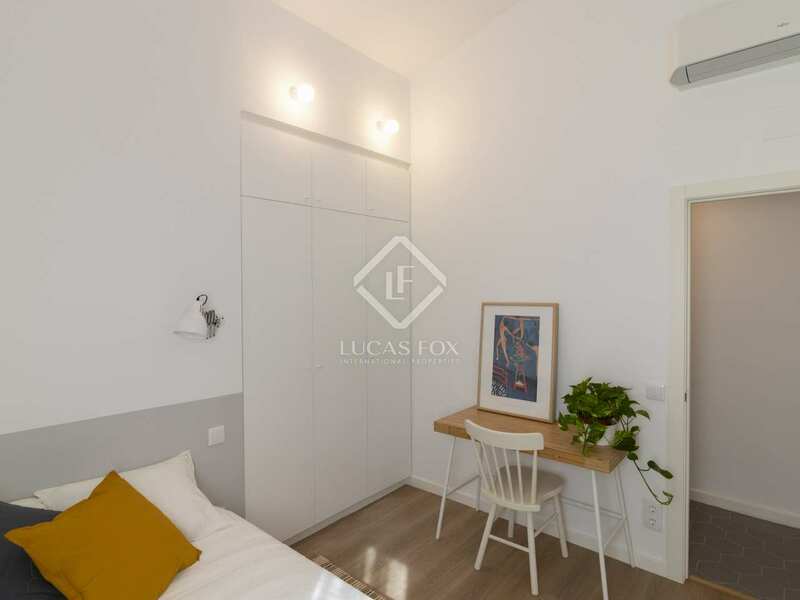 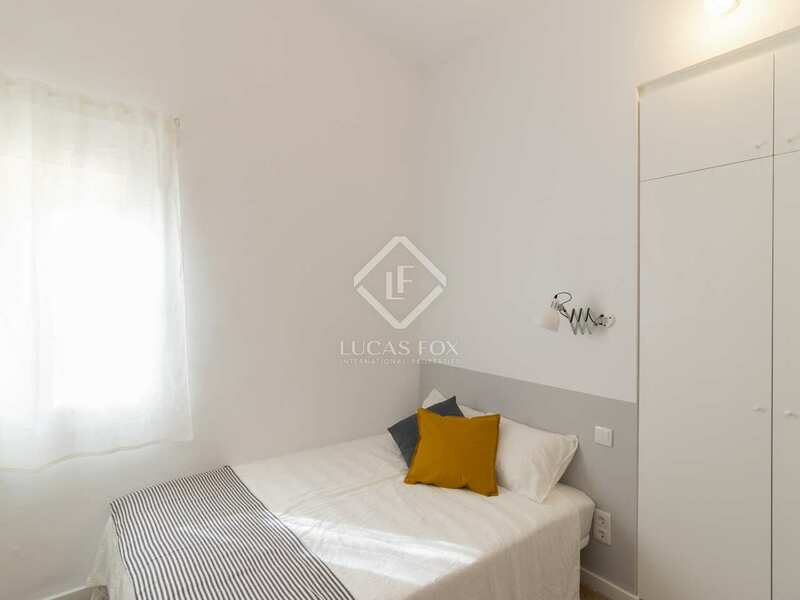 Located 5 minutes from a metro station, just behind the park in the Clot area of Barcelona, we find this fabulous, newly renovated apartment for sale with unique interiors and abundant natural light. 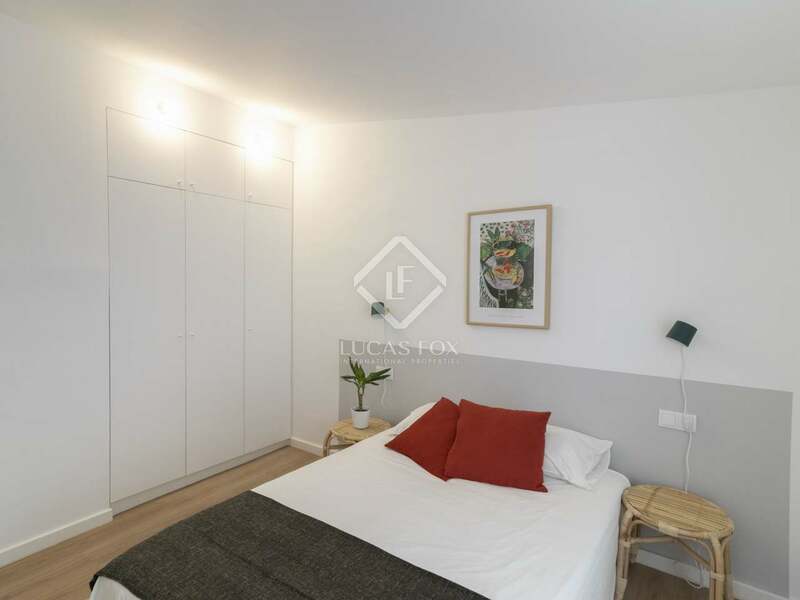 The apartment consists of 2 double bedrooms with fitted wardrobes, a large bathroom and a fantastic open plan day area with a fitted kitchen, living room and dining room, with arched windows, tailor-made bench and a table, giving personality and uniqueness to the space and making it very inviting. 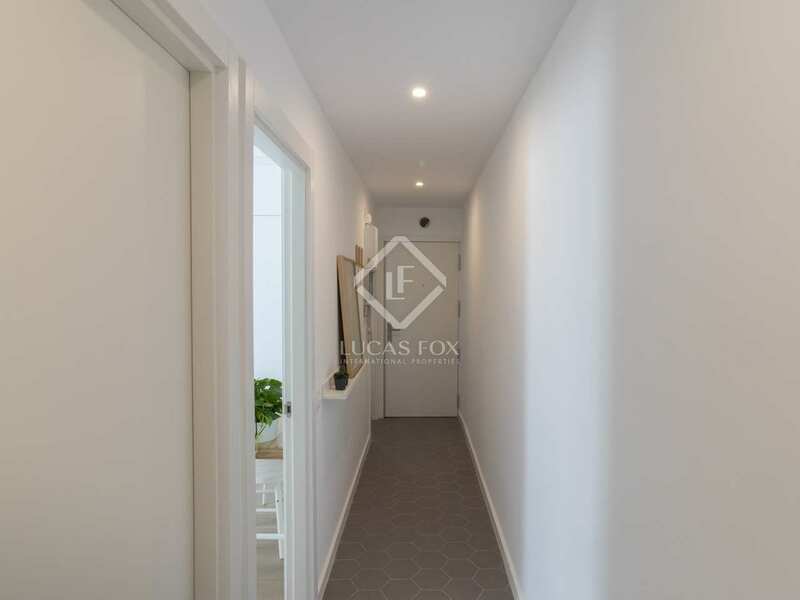 The aluminium carpentry is new; the flooring combines wooden floorboards in the bedrooms and gallery and hexagonal porcelain tiles in the bathroom, corridor and dining room. 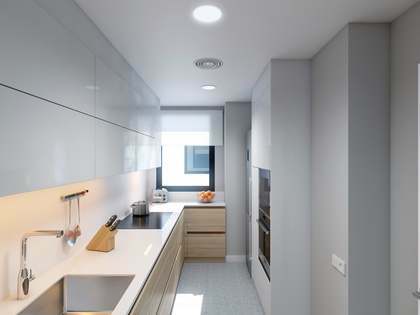 All installations, both water and electricity, are new. 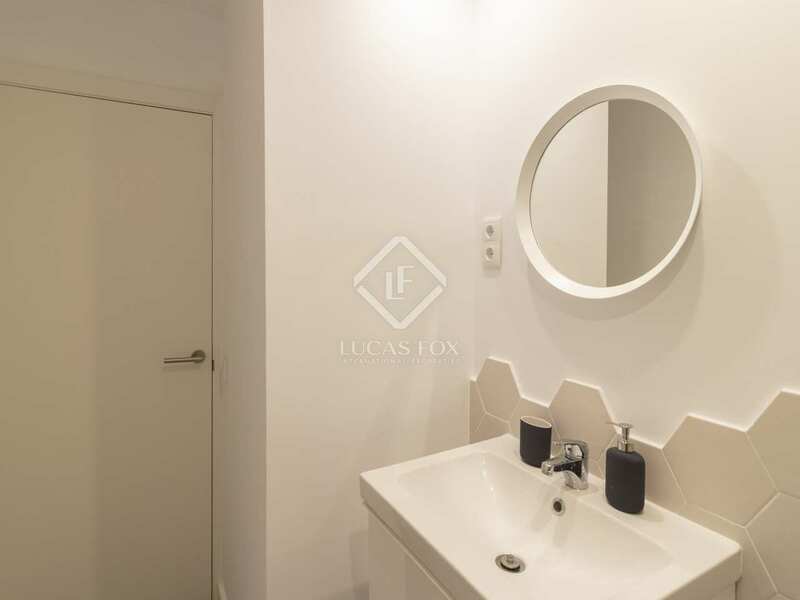 There is hot water with an electric water heater and hot and cold air conditioning in all rooms of the apartment. 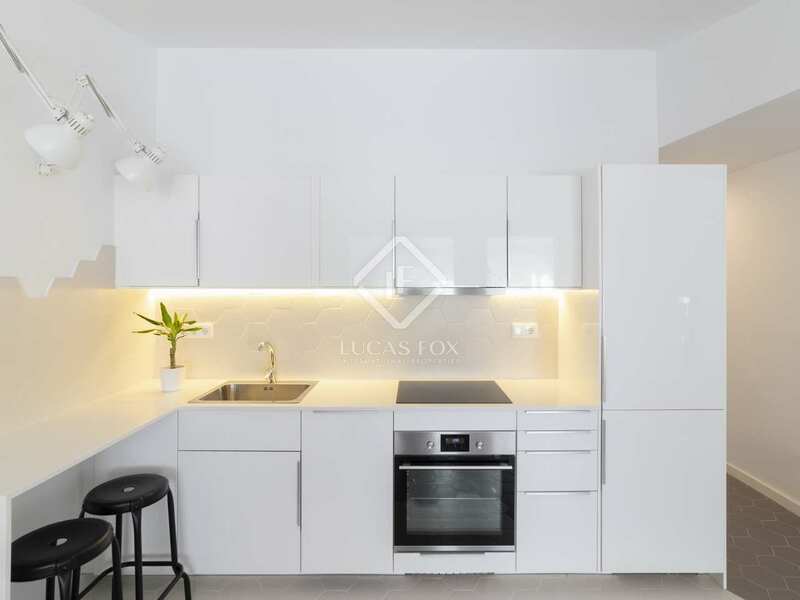 The kitchen is fully equipped with a fitted fridge, freezer, oven, hob and dishwasher. 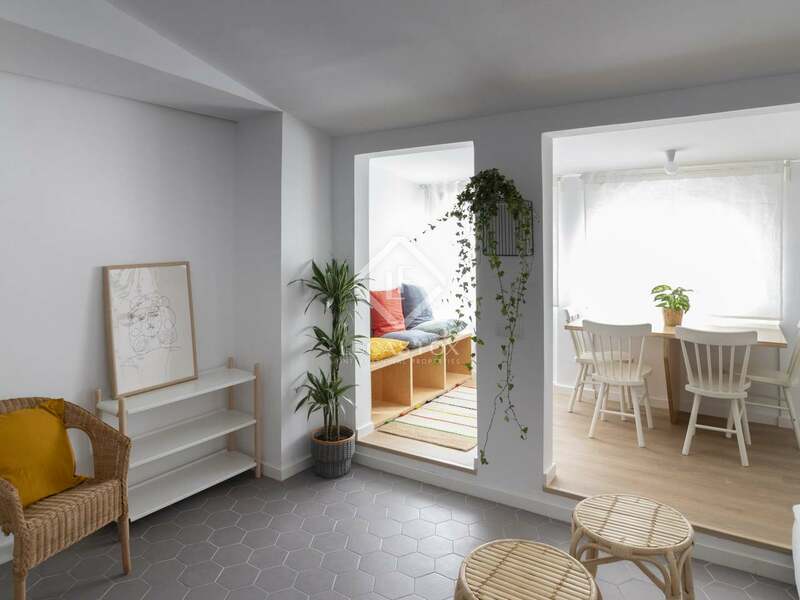 There is a small closet with pre-installation for a washing machine, where the electric water heater is also located. 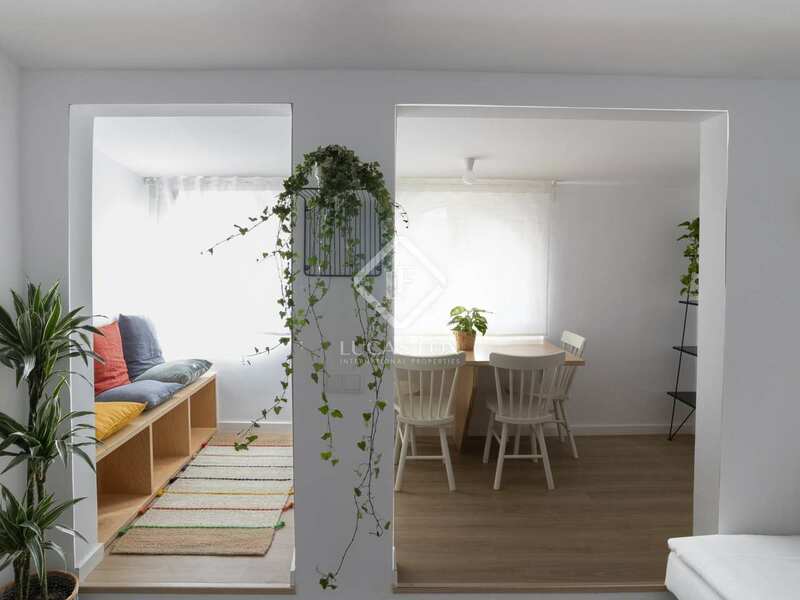 An ideal 2-bedroom property with a very special, attractive design. 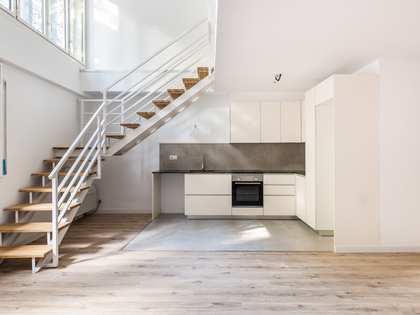 In pristine, move-in condition. 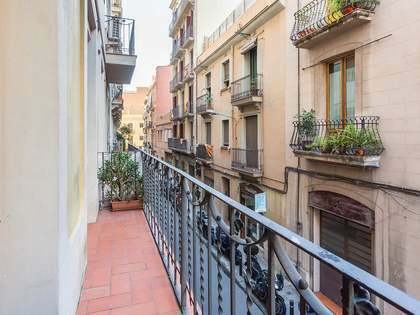 This property is located in the Clot area. 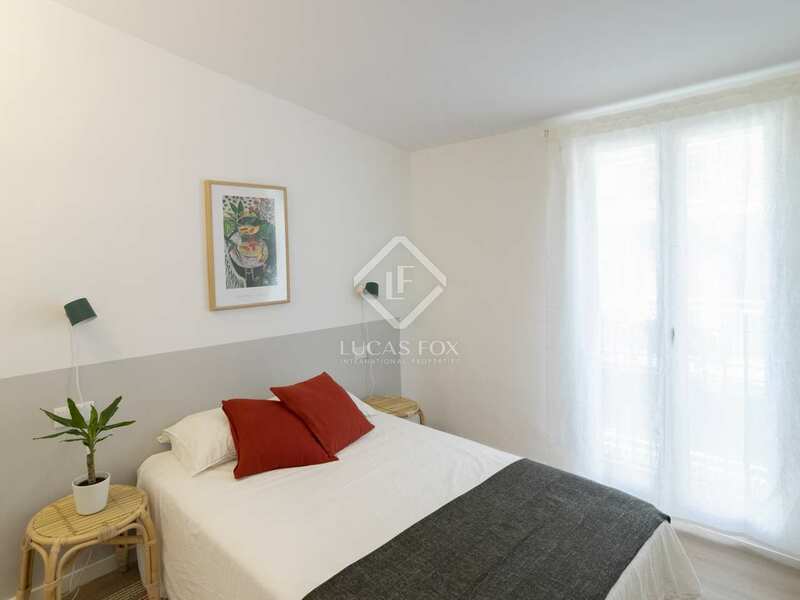 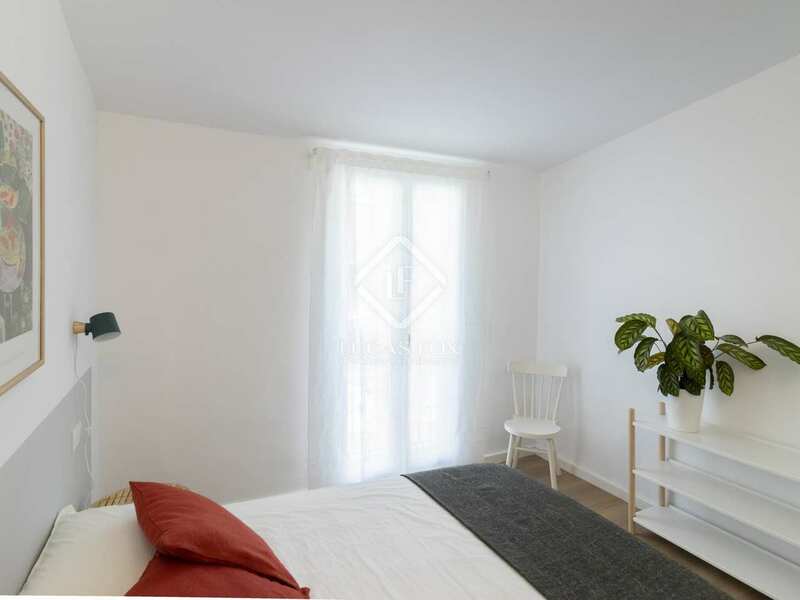 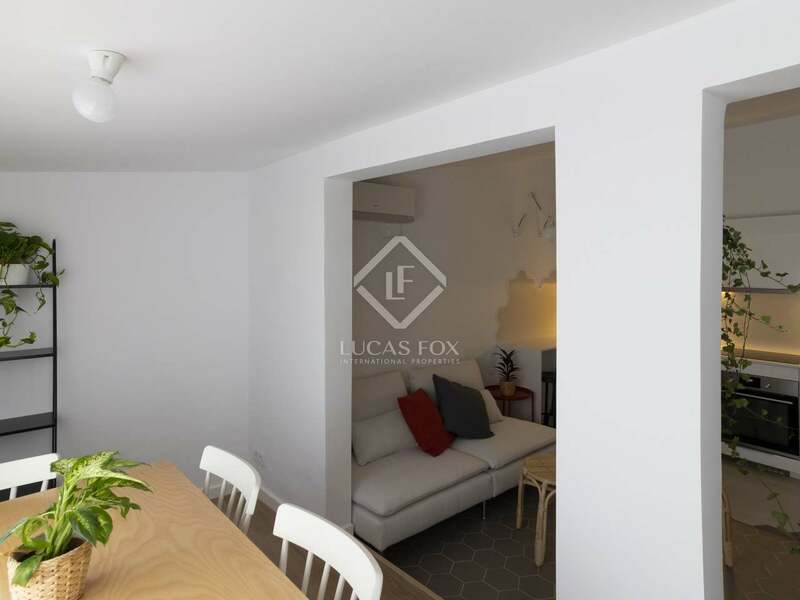 It is only 5 minutes away from the metro stop and situated just behind Parc del Clot.